Have you ever seen or developed little brown spots on eyes? If yes, then you must have wondered what those tiny marks actually are, why they have formed and how dangerous they will be with time. Well, this article is going to answer all your questions. Go through it and know all about those brown spots on your eye. Eye Freckles – These are formed when the pigment called ‘melanin’ is accumulated inside the white part or ‘sclera’ of the eye. 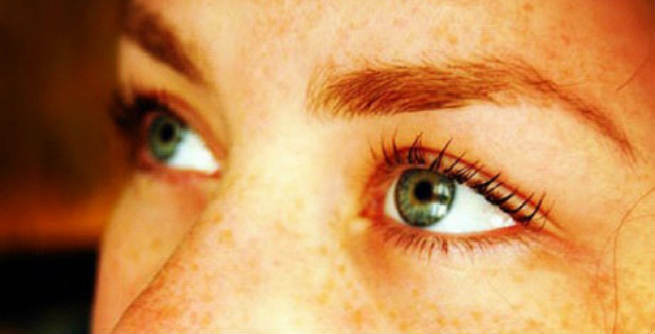 The color and size of these freckles can vary and they can only be spotted by an ophthalmologist. Choroidal / Conjunctival Nevus – Nevus is almost similar to freckles. This is extremely common in young people and is characterized by flat, brownish spot on the choroid (especially on the conjunctiva). Nevus is benign and does not change with time. Primary Acquired Melanosis (PAM) – This is a certain type of conjunctival pigmentation in which the color of a flat and indistinct part of the eye changes its color. It is mostly reported in middle-aged or older people which (though rarely) gets malignant. The pigment cells present in the eye membrane called ‘choroid’ can form a cluster by getting attached to one another. This abnormal accumulation can result into eye freckles. Eye medications that contain epinephrine can also make the conjunctiva darker, thereby causing brown spots. While using silver in industries or photography, you need to be careful as the exposure to the metal can result into conjunctival discoloration. Hormonal disorders during pregnancy can also lead to brown spots on eyes. In most of the cases, identifying brown spots on the eyes is impossible for common people like us. You need to visit a professional ophthalmologist, who can examine your eyes efficiently by performing certain eye test named the ‘fluorescein angiogram’. Should I Worry About Them? Brown spots on eyes are usually not dangerous. Being the results of simple pigmentation, they do not cause any visionary problem. Most of the people want to get rid of them just because of aesthetic reasons. However, some rare malignant cases are also reported, which your ophthalmologist can make you aware of. Well, you cannot remove those small to large brown spots on your eyes completely. All you can do is to lower their numbers and reduce their intensity. 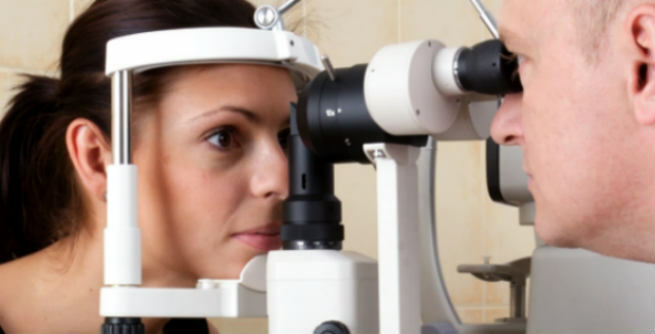 Your ophthalmologist will suggest you various procedures like radiation therapy, laser therapy, etc. depending upon your problem and requirements. So, make sure that you consult with him or her prior to taking any decision.